Smart Touch Integrated Intelligence Control (STIIC) is a plug-n-play networking solution embedded in Dometic products. 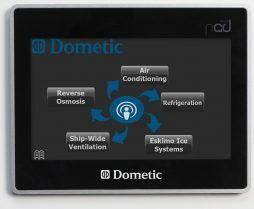 This revolutionary, user-friendly software connects Dometic systems such as air conditioning, watermakers, ice makers, refrigeration systems, engine ventilation systems, and more to the STIIC network and interactively communicates out of the box. 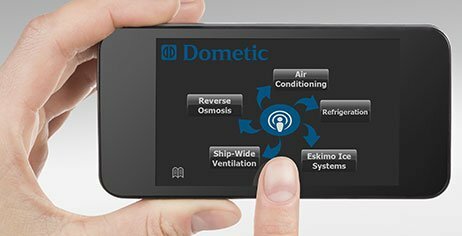 Monitor all your Dometic systems from one convenient location via mobile phone, tablet, or computer using a WiFi, Ethernet, or RS485 connection. Two-way interactive intelligence lets you monitor your systems and troubleshoot problems via a mobile device whether you are on the boat using WiFi or anywhere on the globe using the Internet.